Before contacting us, check out our FAQ page to see if your question has already been answered. Projects and information are for inspiration and personal use only. Reproduction, in whole or in part, is prohibited, except by permission of the publisher. We’ve made every effort to ensure the contents of this publication are correct; however, human errors do occur. If you have any questions regarding a pattern in an issue, please visit us online at ILikeKnitting.com. 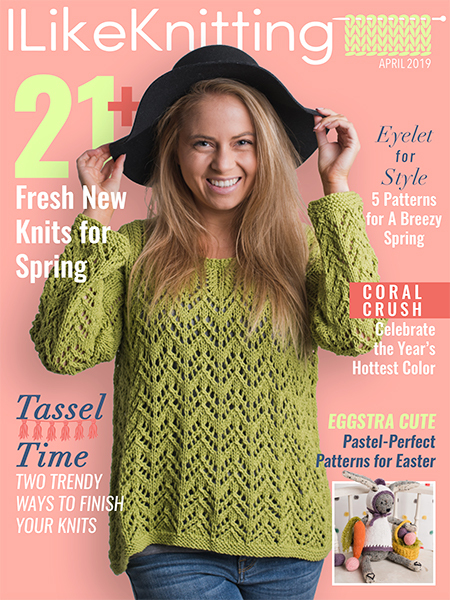 For editorial inquiries, contact us at ILikeKnitting.com, or write to 3400 Dundee Road, Suite 220, Northbrook, IL 60062.